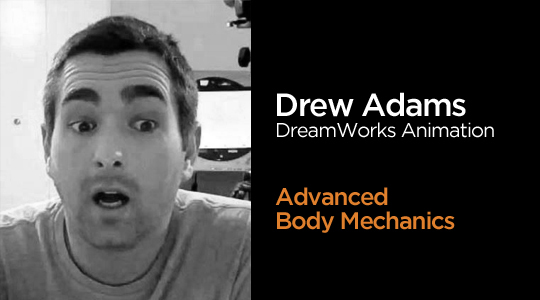 We’re covering the 12 Basic Principles of Animation one principle at a time! The fifth principle is a mouthful: Follow-through and Overlapping Action. Find out why you need to know about it, what it looks like, and how to use it to improve your own animation. What Is Overlap, Drag, and Follow-Through? Technically it’s physics. To paraphrase Newton’s Law of Motion: objects at rest want to stay at rest and objects in motion want to stay in motion (until acted upon by an outside force). A simple way to imagine this concept is to think of a car accelerating very rapidly. The car races off and your body wants to stay in place causing you to sink back into your seat—or drag behind. If the driver slams on the breaks your body wants to keep going, hopefully your seat belt catches you from overlapping right into the windshield. 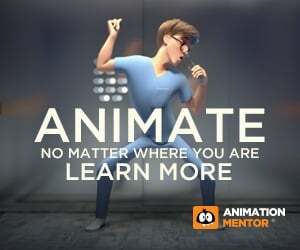 You need it because Sir Isaac Newton says you have to, it’s “The Law!” Unless you want your animation to look stiff, mechanical, and unnatural on purpose. Overlapping actions give your animation a natural feel. If you want your characters to move believably and feel like they live on earth with gravity, weight, and real world mechanics the principles of overlapping action are vital. 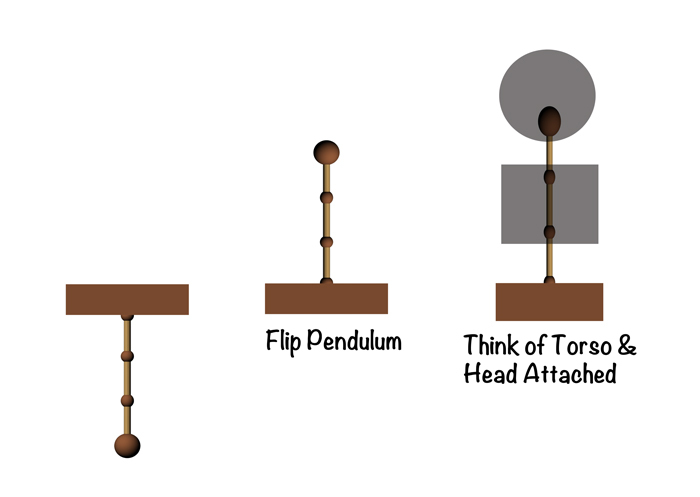 A common animation exercise used to practice overlap is the pendulum assignment in Class 1: Animation Basics. The block on the top moves (exerts force) and the tail, a series of joints with a ball at the end, drags behind. When the block stops, the tail follows through and settles as the energy wears off. The pendulum is a great test to practice these principles. -Make sure the tail always feels like it’s along for the ride. The tail should never lead the action of the block. -The tail should never feel like it can exert any energy or motion of it’s own. Any movement that it makes is the reaction of it being connected to another object. -The overlapping action should have an appropriate reaction to the amount of force exerted on it. For example, if the block moves an inch in space the tail would not violently overlap 2 feet in the other direction. Don’t forget about the texture of the overlap as well. Think about what the overlapping object is made of and also how tightly it is connected to the object that is influencing it. Is it a series of feathers connected by a thin string? Is it a 20-pound chain made out of solid lead, or a tightly coiled spring? Each will react to the force exerted on it, but the amount and timing of the overlap, drag, and follow-through will feel very different. In some cases, overlap can occur with body parts that can actually move themselves. Think of a squirrel’s tail for example, sometimes it’s along for the ride moving only when the body moves, and other times it can move on it’s own, as an anticipation or counter balance for a jump. The Animation Mentor character Squirrels is perfect for practicing overlap with flair. The video below, by Richard Van As, shows Squirrels body animation but with the overlapping action taken out. It’s really well animated but with the overlapping action missing, it feels stiff. Compare this to Richard’s final version with all the overlapping action added. 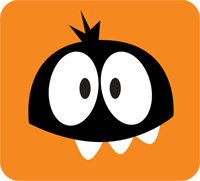 The overlap and follow-through of the tail add a huge amount of fluidity, energy, and character to the final animation. A common mistake in student work is the hips, torso, and head feeling like they are connected with a steel rod. This causes the entire trunk of the body to move at the same time and results in a very stiff feel. The torso and head should feel like they can overlap and drag depending on how the hips influence them. The simplicity of the pendulum and tail example can be applied to the spine. Just think of the block and the tail only flipped upside down. The block is the hips and the tail is the spine. The spine mainly supports the rib cage and the head. It’s important to think about those two masses as big shapes attached to the tail/spine that will drag and overlap against any hip motion. When the hips take off, the rest of the spine wants to stay behind the same way your body does when the car takes off. Likewise, if you are sprinting and come to a fast stop, the upper body is going to follow-through and you will probably have to take a few extra steps to slow the forward momentum of your upper body to keep from falling on your face. The spine is very flexible; it can have a surprisingly large range of motion for extreme actions—but don’t forget, even a small amount of hip motion should have an equal reaction of drag and overlap in the spine. Aside from the spine and trunk of the body, any object attached to the body can provide a great source of overlap to loosen up your animation. Overlapping action on a ponytail for example can echo any body and head movement. You can add a hat to your character that continues to float up as the character falls from the peak of a jump. Earrings, clothing, hair, and props can all provide overlapping action and add another level of detail and believability to make your animation stand out. Because overlap and drag need to be acted upon by a force, you want to make sure all of the main animation on the body is done first. Any changes to the body animation, or source of the force, will cause the overlapping action to not work anymore. Overlap and drag can add an amazing organic and natural feel to your animation. If things are looking stiff and mechanical, analyze the action and look for any opportunities—both large and small—to add overlap, drag, and follow-through.